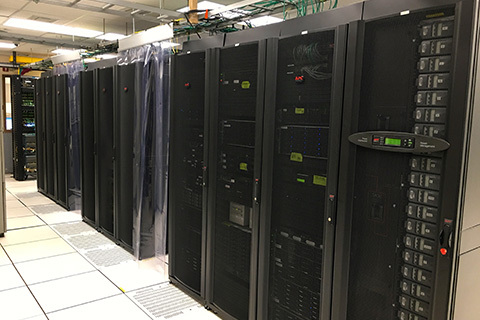 The University of Miami's Information Technology (UMIT) department provides the RSMAS Computing Facility (RCF) to support research and administrative computing for faculty, students, and staff at the RSMAS campus. We provide standard network services (email, web, file-sharing), machine room space, and computer support for a variety of networked desktop, workstation, and server-class computers which are used for graduate student education, research, and administration. EMail accounts and client configuration. Operating system installation and support for Windows, Macintosh, and Linux systems. Limited software installation and support. Consultation on computer selection and acquisition. Our hours are 8AM to 5PM, Monday thru Friday. Help staff is available during business hours via EMail rcf-support@rsmas.miami.edu or at (305) 421-4028. CAUTION: The Search function on the RSMAS Computing Facility (RCF) web site will find some links that are outdated (don't work), are not accessible thru the web page or site map, but can still be accessed thru the link found with the search function. Don't use them if there is not a link path to the page from the RSMAS web site. Please contact RCF for current information. This site is being developed to provide documentation and details about our services. Watch this space for additional information.